Fans of PJ Masks will love spending time with the heroes and moving the sturdy clock hands of this novelty board book that’s an early introduction to telling time! 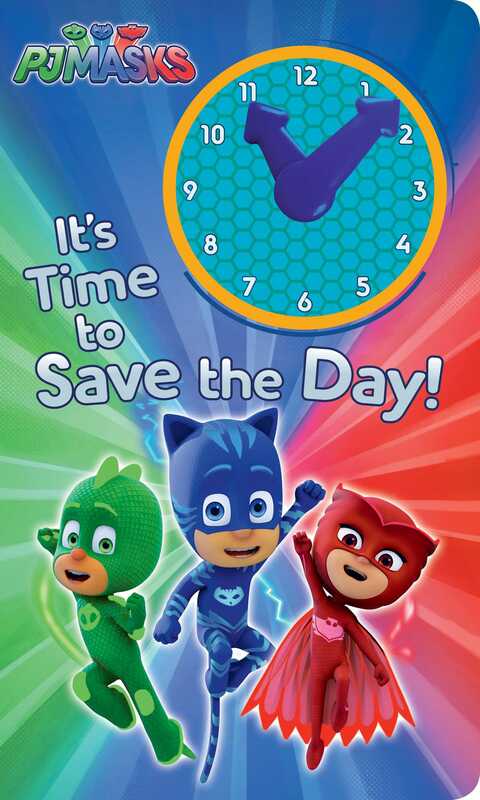 For the PJ Masks, bedtime isn’t just about pajamas: when someone needs help, Owlette, Gekko, and Catboy go into the night to save the day, and they have to know how to tell time to be heroes. Help them find the right time to fight crime by turning sturdy clock hands that make ticking sounds like a real clock! Book Cover Image (jpg): It's Time to Save the Day!